2 GREAT PRODUCTS AT ONE LOW PRICE! 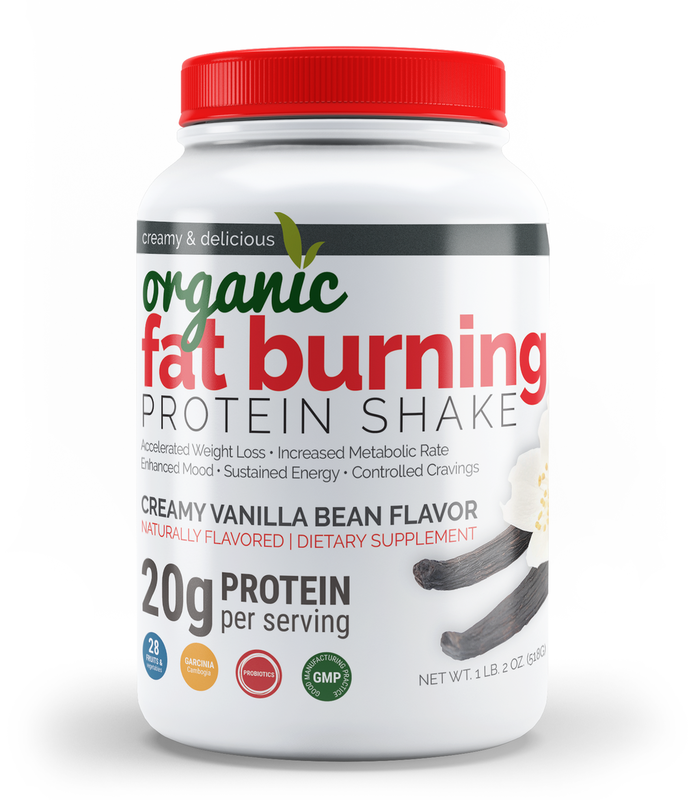 Maximum Slim Organic Protein Powder is uniquely formulated with key nutrients that support your boost its metabolism. 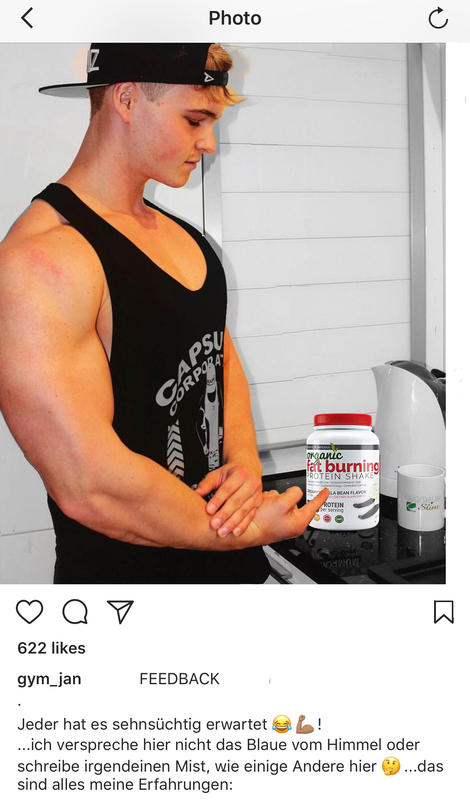 Maximum Slim Fat Burning Protein Powder meal replacement is a complete organic, plant-based protein to help you feel full and satisfied throughout the day, filled with natural metabolism boosters like Green Coffee Bean Extract, Garcinia Cambogia and Green Tea. Maximum Slim Organic Protein Powder is a delicious, healthy, lactose free and gluten free formula. This makes it the perfect add on while boosting your metabolism naturally. 100% Natural way to detoxify your body! 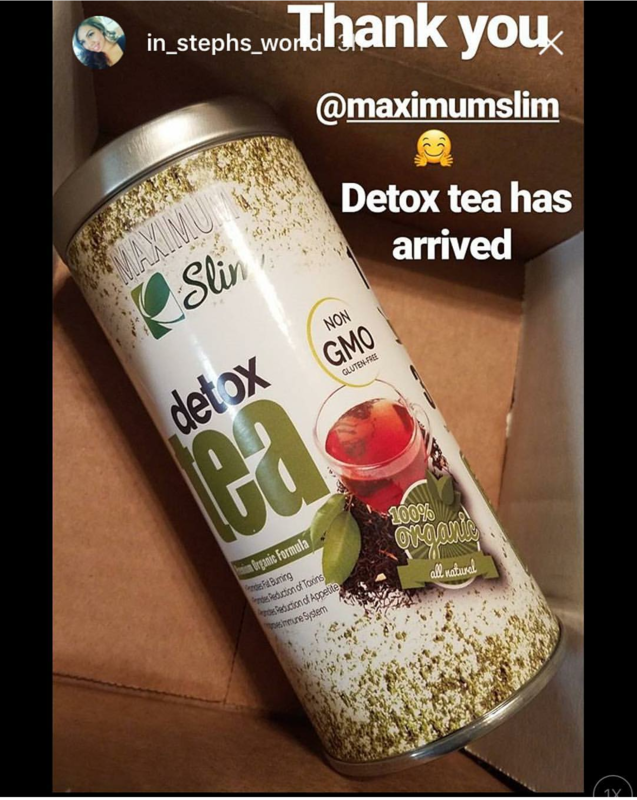 Maximum Slim Organic Detox Tea is a cutting-edge herbal blend. 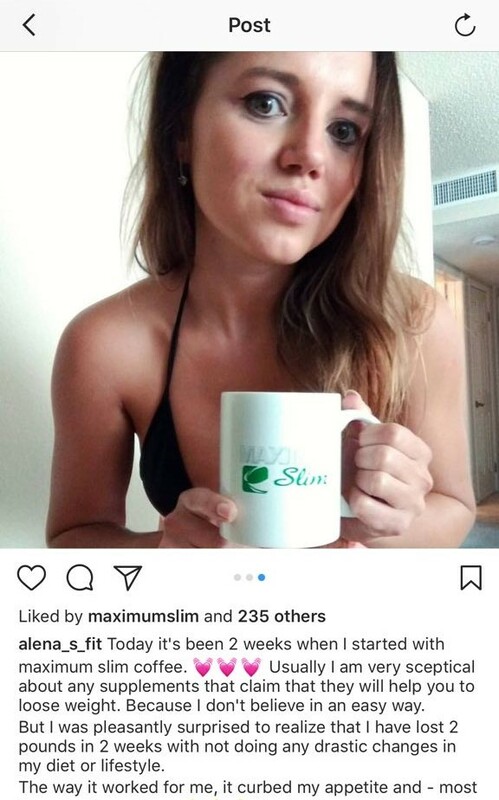 It is created with all-natural, high quality ingredients, formulated to produce the best DETOX formula that delivers RESULTS. 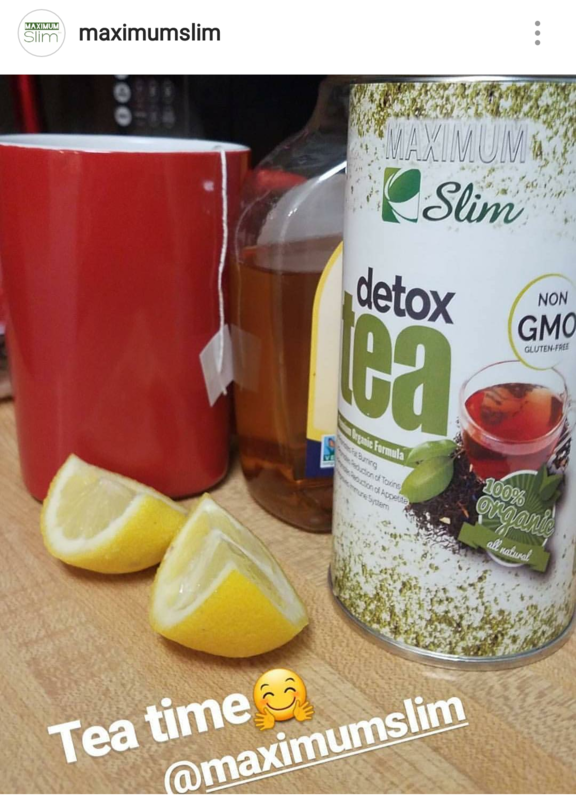 If you are looking for an amazing detox tea that you can incorporate into your daily routine, LOOK NO FURTHER! Maximum Slim Organic Detox Tea Cleanse will help you feel better from the inside out! 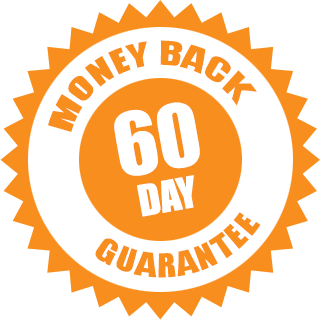 Maximum Slim Organic Detox Tea is designed to give you a energy boost throughout the day and support the suppression of your appetite*. 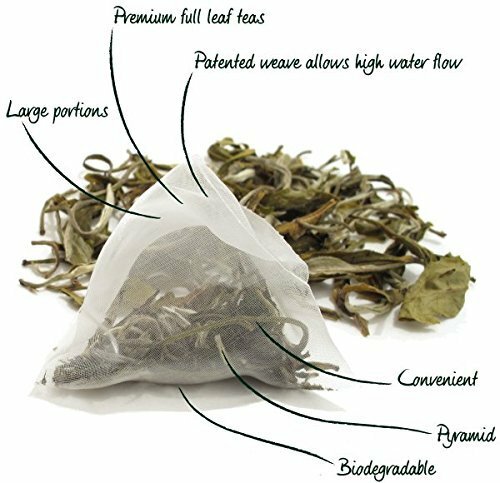 Maximum Slim Organic Detox Tea is also formulated to naturally purify the body which supports the reduction of bloating*. Maximum Slim Organic Detox Tea Cleanse will help you feel better from the inside out! 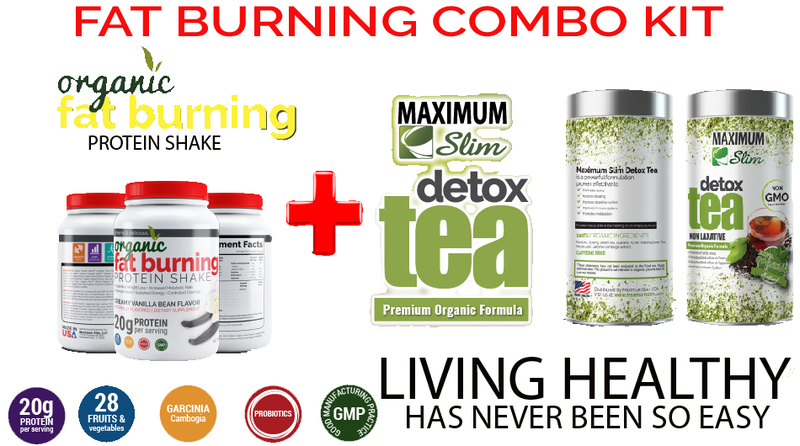 Maximum Slim Organic Detox Tea is completely GMO Free, Gluten Free, Dairy Free and Sugar Free! You've waited long enough to feel better and experience increased energy and vitality!